If the blog has seemed quiet for a little while it’s because Museum Studies at Reading went international during the Easter vacation. 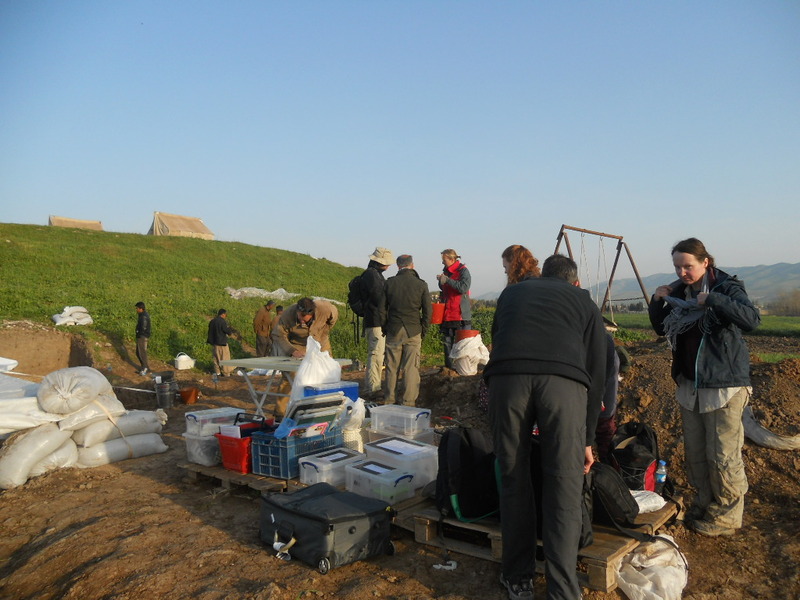 The first trip was with the Department of Archaeology’s Central Zagros Archaeological Project (CZAP). As you’ll see Kurdistan is beautiful in the spring and the people were extremely welcoming. I was over there to give some advice on the ‘public archaeology’ side of things and to explore the potential to develop some interpretation with and for local people. The CZAP project focuses on the Central Zagros region of west Iran and east Iraq and explores the beginnings of the Neolithic. 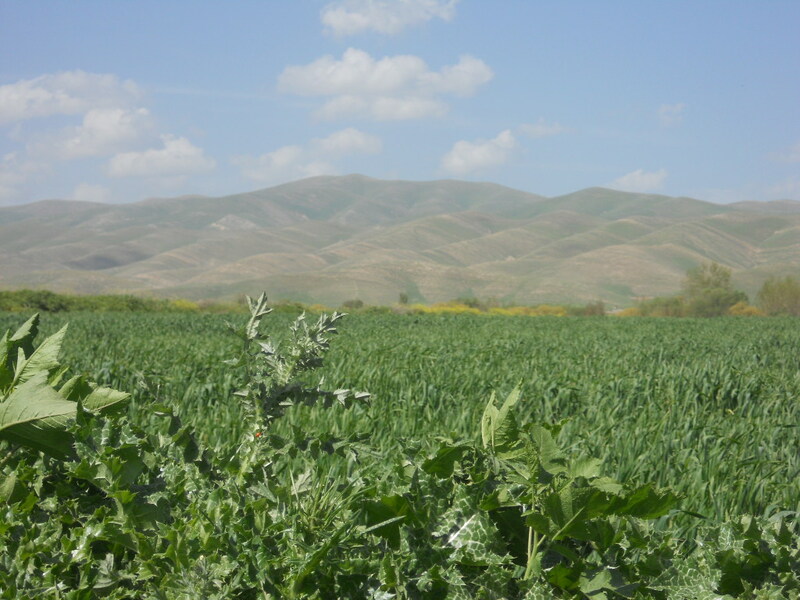 The project combines techniques from archaeological science and social archaeology to understand the move to farming in this area of the Fertile Crescent. Some of the earliest layers are 9700 years old so specialists are looking for tiny traces of past activity using techniques such as micro-morphology. This kind of project difficult to explain to non-specialists. 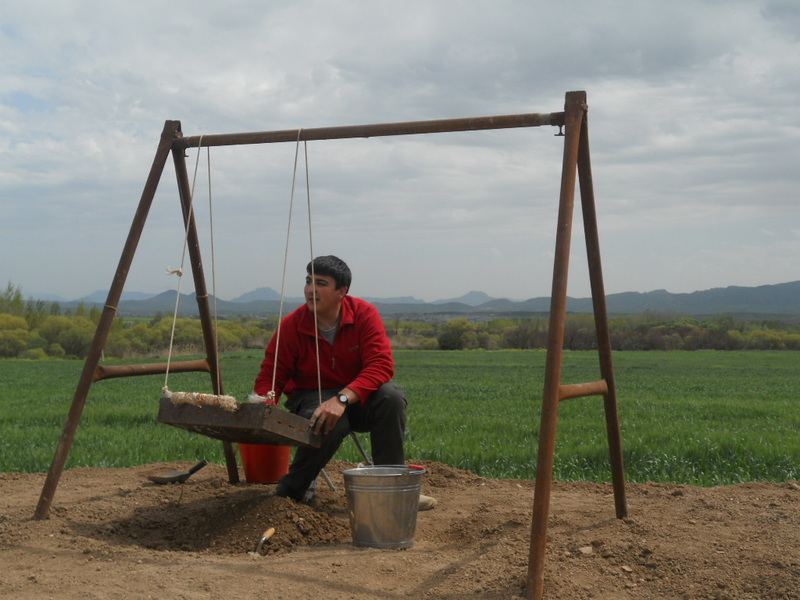 One of my dissertation students Mat Britten (pictured above) was also on the trip as part of his research into public understanding of archaeological science – specifically micro-morphology. He is lucky to have micro-morph expert Dr Wendy Matthews as his other supervisor. She is extremely well versed in trying to explain this process to archaeologists and non-archaeologists alike. With Mat and the rest of the team helping I tried to see what we could do on the interpretation front. 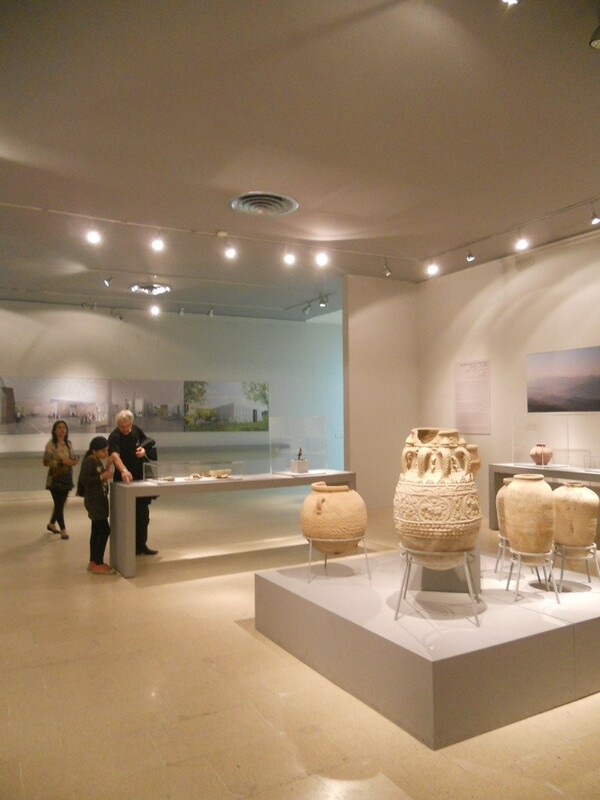 The local city of Sulaimaniyah (you’ll find lots of spellings and pronunciations of this) has a fantastic museum which recently received UNESCO funding for some refurbishment. 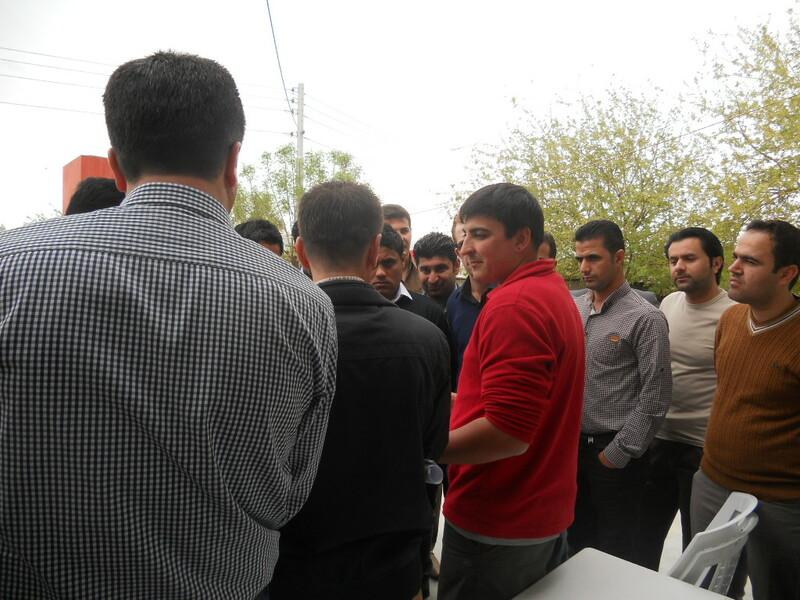 We worked with their staff to bring in teachers and create resources in Kurdish. In the UK something like this would probably take years to organise but the Director of Education for the region managed to get 28 teachers and 5 regional supervisors to the site only 4 days after we approached him with the idea. It was really impressive to see this level of commitment to archaeology, and the teachers seemed as interested in the behind the scenes science labs as they were in the site itself. Later in the season the chemistry teachers in the region also visited to find out more about the scientific processes being undertaken by specialists on site. Mat and another member of the team Hawar managed to put together a simple but effective flyer explaining the site in English and Kurdish for the second visit which can be used again in the future. I had a wonderful time in Bestansur. The Reading and the local team were extremely welcoming and the site itself was fascinating. From interviewing local workers we found that there is a great deal of regional pride in the results of this excavation. As the dig went on more and more people came to visit. 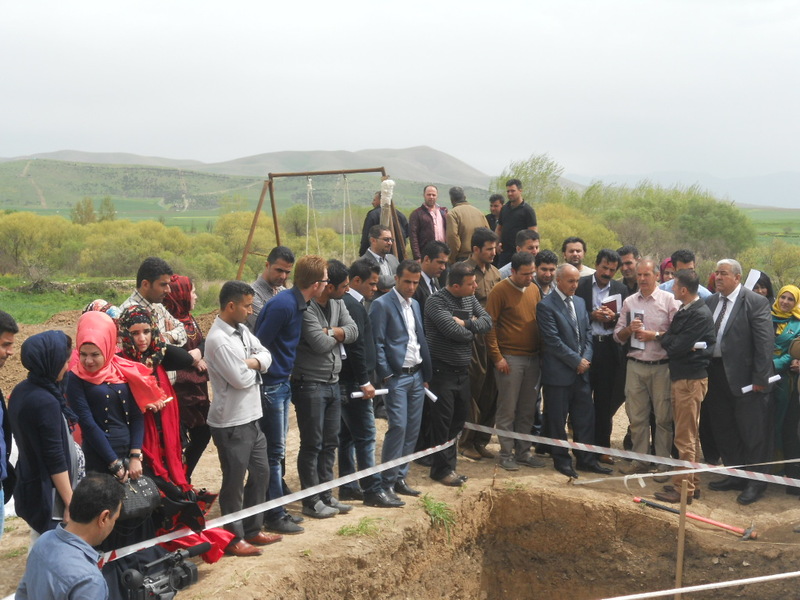 The region is focusing a lot of energy on its archaeology and history at the moment. It will be interesting to see how the site develops over the next few years. How do you interpret a site which is best known for its myths? The University of Reading is being featured on the AHRC website today in a film which examines a recent research project with Glastonbury Abbey, Somerset, UK. 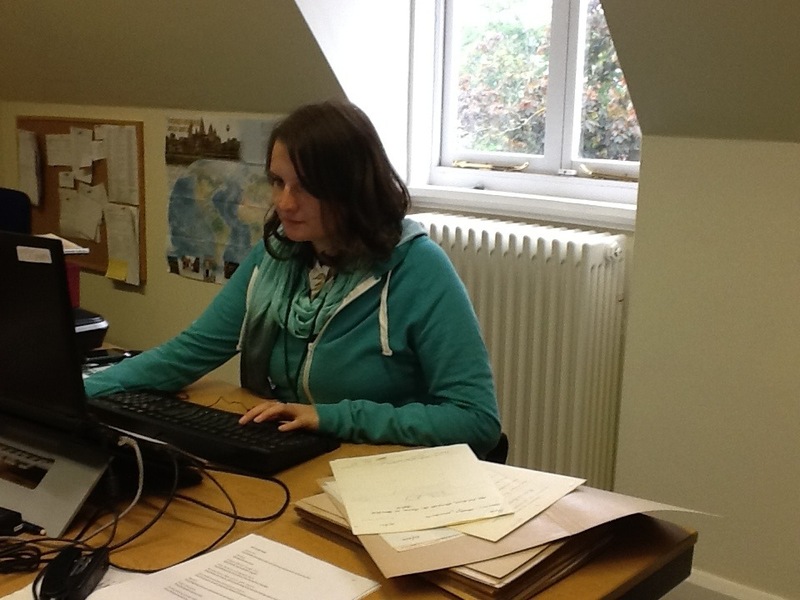 Find out more about how Professor Roberta Gilchrist (Department of Archaeology, University of Reading) and a team of experts disentangled a complex web of archival documents and stored objects related to historic excavations at the site (1904 – 1979). Museum Studies Programme Director Dr Rhi Smith appears in the video, talking about her collaboration with the Abbey and the challenges of developing an interpretation strategy which respected the complex history and spiritual significance of the site. “The site of Glastonbury Abbey is one of the important ancient heritage sites in the UK. A focus for many people who value the spiritual and historical resonances of the place, it is best known for its legendary reputation as the burial place of King Arthur and as the earliest Christian foundation in Britain, allegedly founded by Joseph of Arimathea, the great-uncle of Christ, in AD 63. A team of AHRC-funded researchers, led by Professor Roberta Gilchrist of Reading University, has re-evaluated the history of Glastonbury Abbey and its environs and disentangled the rich but not always accurate myth from historical reality. Among the findings are: fresh evidence to confirm that the abbey site was indeed occupied in the 5th or 6th century, before the foundation of the Saxon monastery; identification of an early timber building with large post pits associated with fragments of imported Roman amphorae, dated c AD 450-550 and often associated with very high status secular (ie royal) settlement; analysis of glass and metal fragments suggesting that the glass-working furnaces at Glastonbury represent the earliest evidence for significant glass production in Saxon England; and a great deal more. The project has worked closely with local groups and the general public and outreach activities have been crucial to its work and its findings. 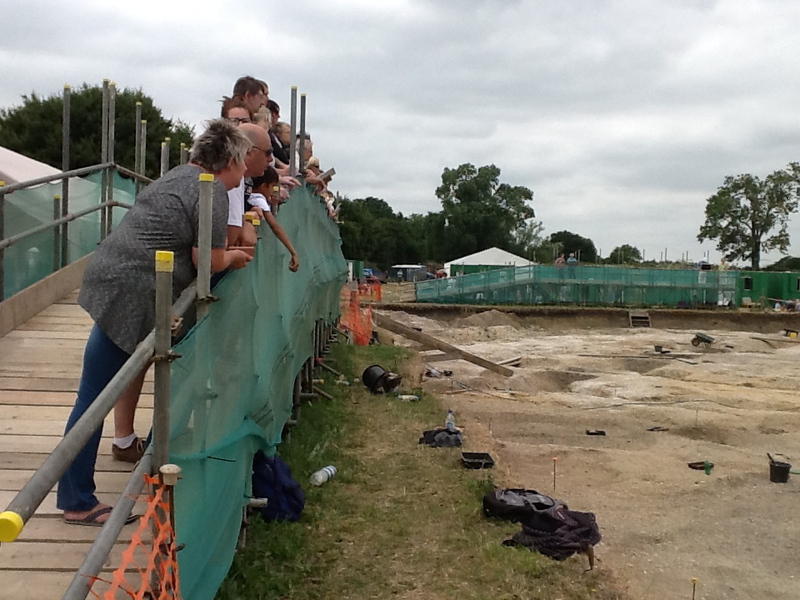 I was out at the Silchester Excavation site today for one of their annual Open Days. For those of you that don’t know, the Silchester Excavation is examining one insula (or block) in the large Roman town of Calleva Atrebatum and the Iron Age settlement Calleva which lies beneath it. 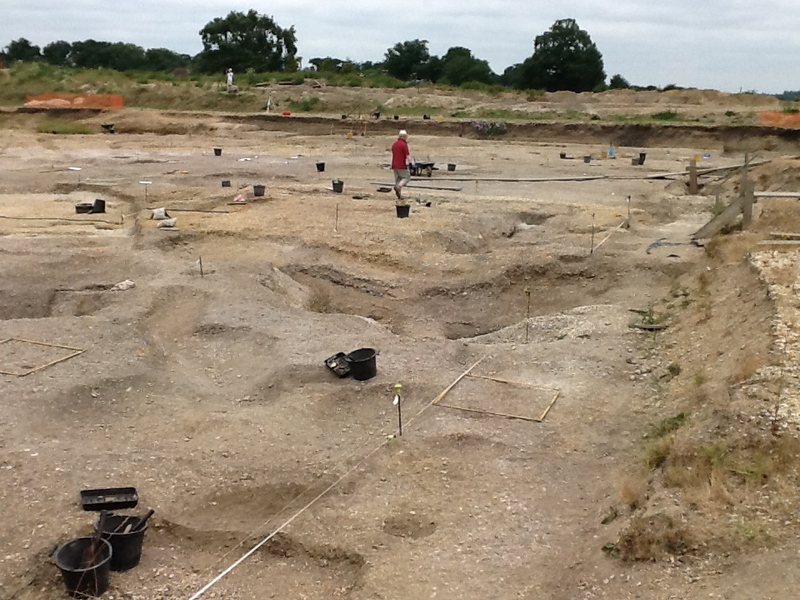 Since 1997 Prof Mike Fulford and Amanda Clarke have been leading a team of dedicated excavators at the site. 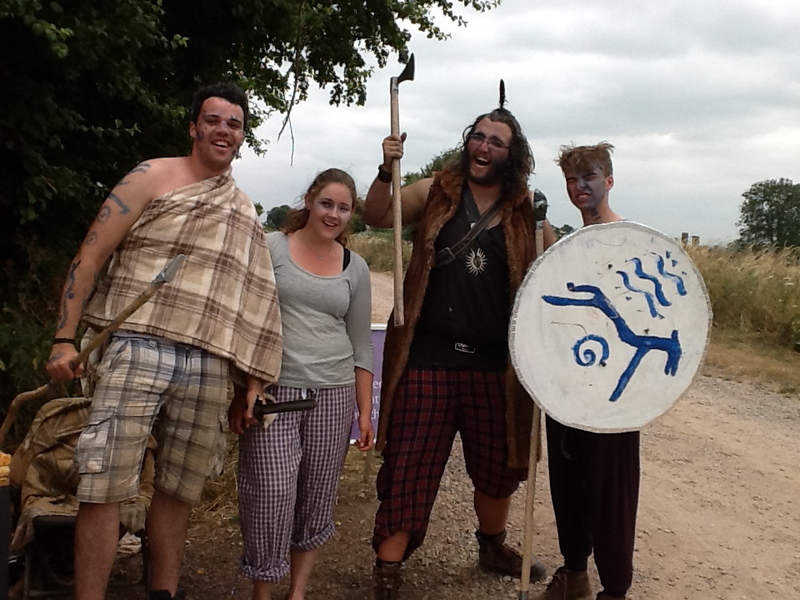 Silchester is the University of Reading Archaeology Department’s training dig and students make up the majority of the ‘diggers’. Students also get involved in the interpretation of the site, this year under the guidance of freelance museum educator Ross McGauran. 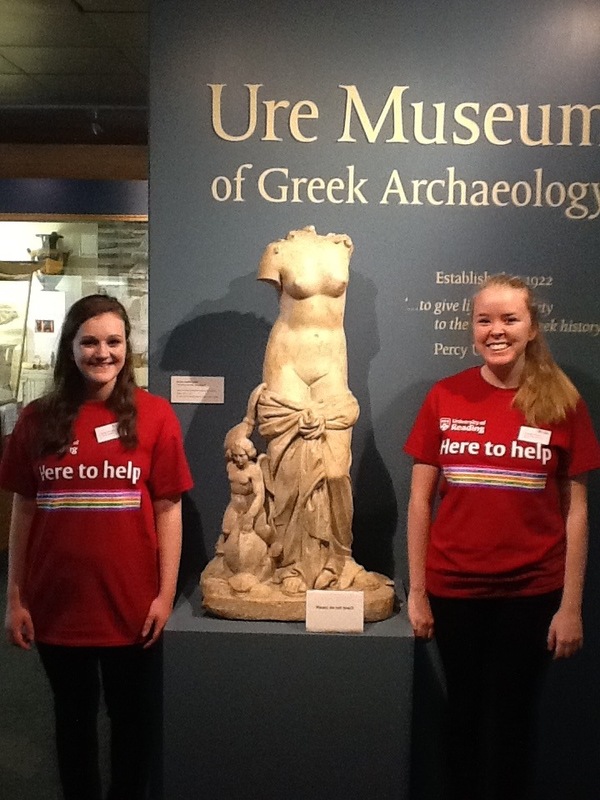 The site welcomes school groups and has a training pit, Roman garden, tours and activities for visitors to the site. I was also really impressed by their head-sets which linked visitors not to a pre-recorded tour but to a microphone. This meant that site directors could jump around the trenches providing information while visitors listened from a viewing platform. On a windy day like today this was much needed.